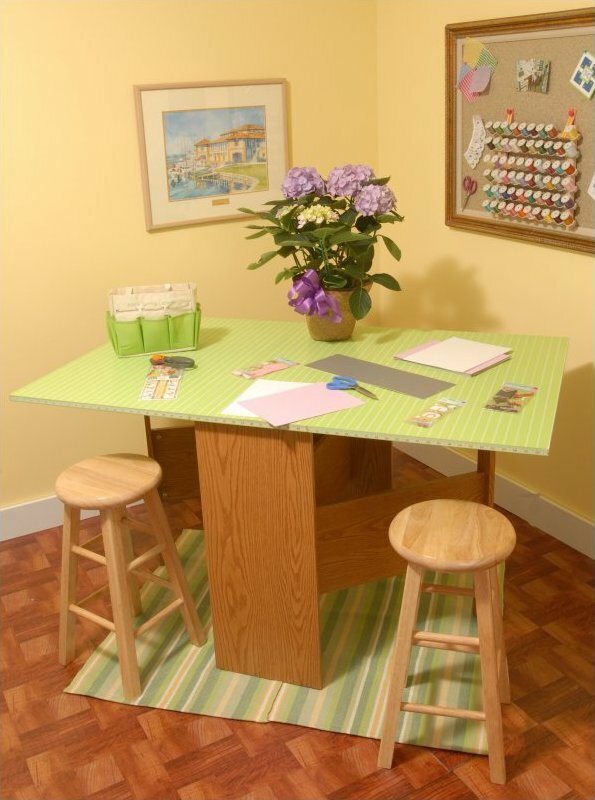 Our Pixie Cutting Table is a perfect accessory for any craft room. Use the table for cutting perfect lengths of fabric. The pistachio tabletop features a tape measure on the front and perfectly symmetrical white lines on the top surface for making straight cuts, plus a custom sized pinnable cutting mat. The table can double as a craft surface for all sorts of projects like scrap booking, modeling and gift wrapping or a grab a stool and place your sewing machine on the table to create a large sewing surface. When your projects are complete the table's leaves fold down to create a compact unit that can be stored out of the way. Top is grass green and base is honey oak.